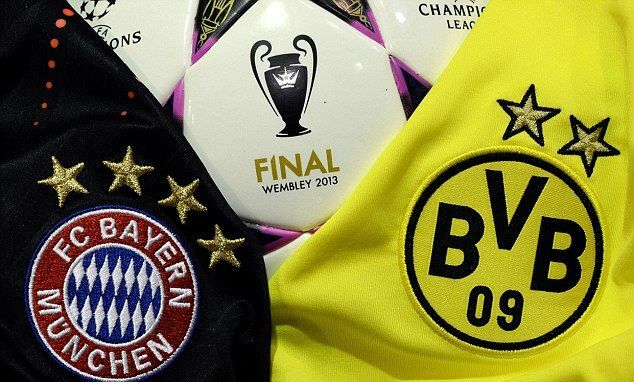 The UEFA Champions League Final is being played tonight at Wembley between the tow leading German football teams: Borussia Dortmund and Bayern München. Ahead of the Champions League final, Borussia Dortmund manager Jürgen Klopp believes the 'all-German' Champions League final at Wembley will be a "special" occasion. "If this is my only final and I die in 60 years, it won't have been so bad," said Klopp. It may be added that Wembley has been host to five European Cup finals (1971 - Ajax 2 Panathinaikos 0, 1978 - Liverpool 1 FC Bruges 0, 1992 - Barcelona 1 Sampdoria 0 and 2011 - Barcelona 3 Manchester United 1). The match is scheduled for Saturday, 25 May at 18:45 GMT at Wembley.